Brighton Savoy wedding photography was one of the joyful tasks we had the honour complete with our lovely brides and grooms. 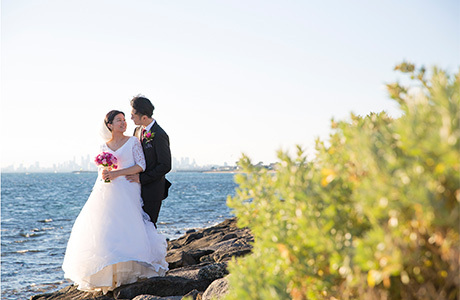 If you haven’t already read it somewhere, this venue was awarded the Best Hotel Wedding Reception Venue by the Australian Bridal Industry Association. We can comfortably say, this award is well deserved! 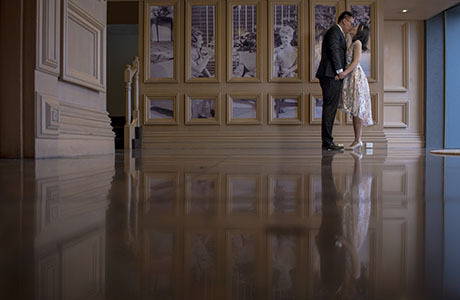 Throughout our experience doing wedding photoshoots here, the facilities at Brighton Savoy is indeed praiseworthy and there were plenty of beautiful photo locations despite being relatively confined. Displaying contemporary furnishing with an edge of modern theme, we didn’t have difficulty finding pretty spots for the Bride and Groom to pose throughout the reception hours. 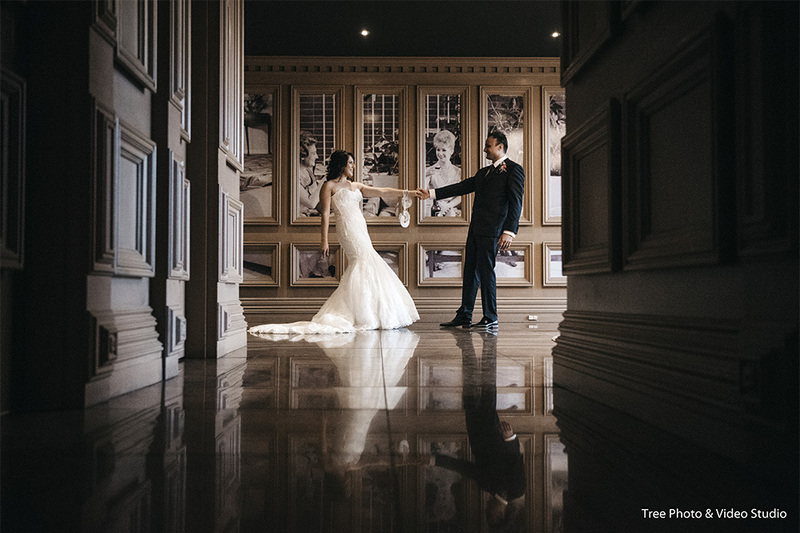 With a long chandelier sparkling across the grand ballroom, we managed to snap plenty of dazzling shots just in one location alone. As the Bride and Groom do their vows under the gazebo, we took advantage of the lush trees towering behind for perfect shots. 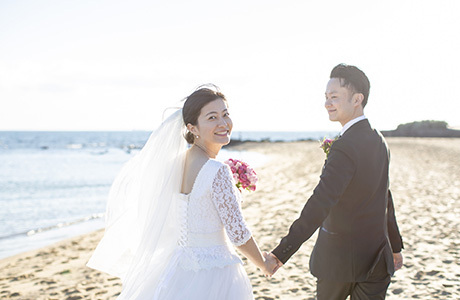 Conveniently, brides and grooms would usually request for a couple of beach photos especially when the weather is great. 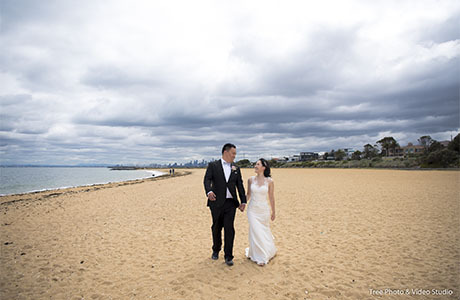 As Melbourne wedding photographers, we can comparatively say that Brighton Beach makes one of the best backgrounds for a wedding photo! You can check out our Brighton Savoy wedding videography and see the stunning view captured at sunset from above, the result was magnificent. Will you be having a Brighton Savoy wedding photography? Drop us a note and we’ll be in touch with you very soon!